Friday 5:30PM -Arrive at highline State Park in Loma, CO.
Saturday 6:30AM -Meet up with Centennial Outfitters at the Loma Put-in on the Colorado River. 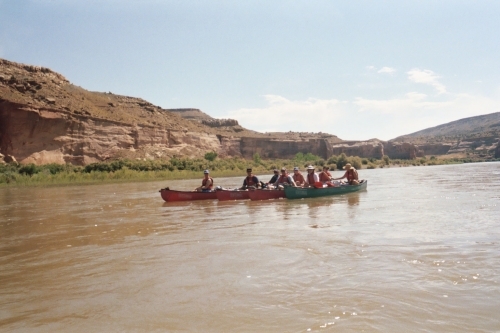 10:00AM -Shuttle cars to the Westwater Take-out and get on the river. 2:00PM -Afternoon floating on the river. 4:30PM -hour devours and wine. Sunday 7:00AM -Morning Coffee and breakfast. 9:00PM -back on the river. 1:30PM -Courtney heads back to Denver with the family and I head to California.